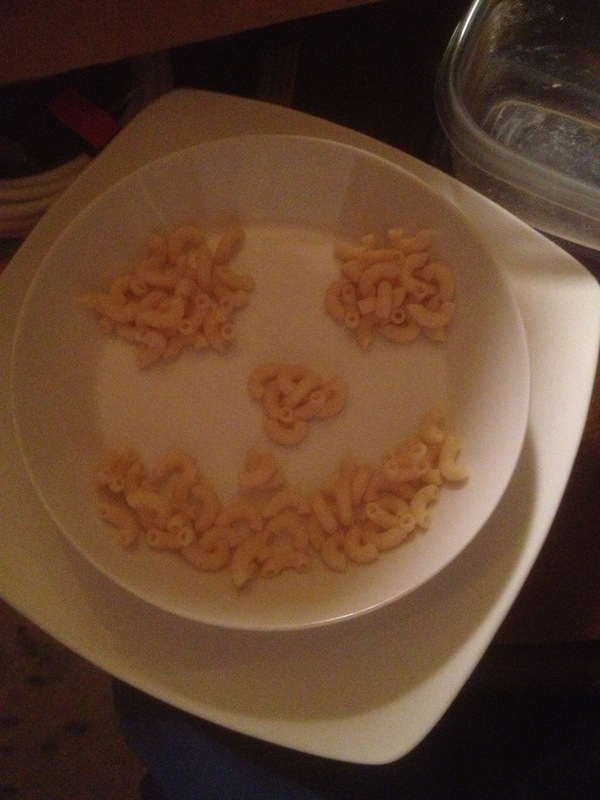 I’ve always had a fascination with making food smile since I was a little girl. I would take vegetables, fruit, egg yolks or pretty much any food I could get my hands on and find a way to make two eyes, a nose and a smile out of the materials available. I started doing this as a surprise for my mom. Whatever materials she was using to make us a meal were the materials I would use for my kitchen art creations. When my mother wasn’t looking I would assemble the food she was using into a smiling face, leave the room and wait. I would wait to hear my mom laugh. She would discover my creation and laugh and say, “Oh Sara.” She may have sounded annoyed on the surface, but deep down I know she loved it! Because I kept creating kitchen art for my mom to make her laugh we decided that this smiling creation needed a name. We decided on Art Kitchen. First name: Art. Last name: Kitchen. I kept creating various versions of Art Kitchen into adulthood. Thankfully my husband Pete, much like my mother, finds Art Kitchen humorous. The surprise is the kicker. Assembling the ingredients and leaving the room and waiting to hear the person laugh is so satisfying to me. Knowing that I’ve made someone smile and laugh makes me feel good inside! 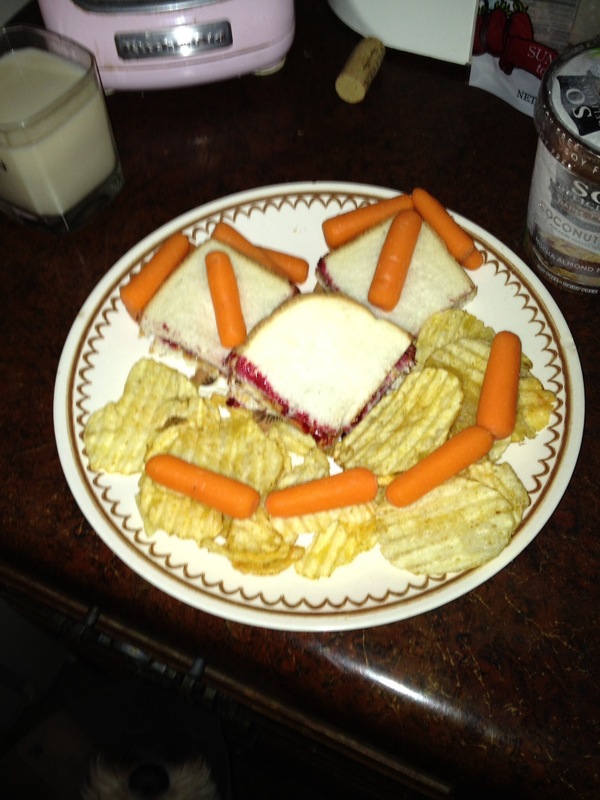 Art Kitchen appears as a smiling peanut butter and jelly sandwich base with carrots topping the bread for the eyes and above the eyes as eyebrows and a bed of potato chips for the smile. In my 33 years on this planet I’ve never seen food smile on its own. Nature is a curious thing. Pete cut open a pineapple one day. He called me into the kitchen. 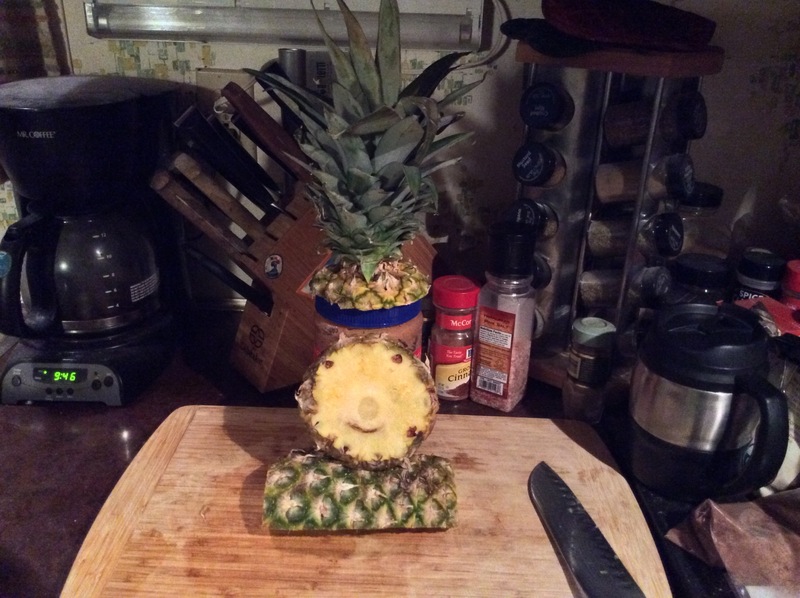 The pineapple had its own smiling face! So I decided to dress up nature’s version of Art Kitchen with a hat and body. I had to add my own flourish to nature’s version of Art Kitchen seen below. I hope my kitchen art creations made you smile and laugh!